The Honolulu Fire Department says the wildfire in Nānākuli that started on Sunday is a hundred percent contained. 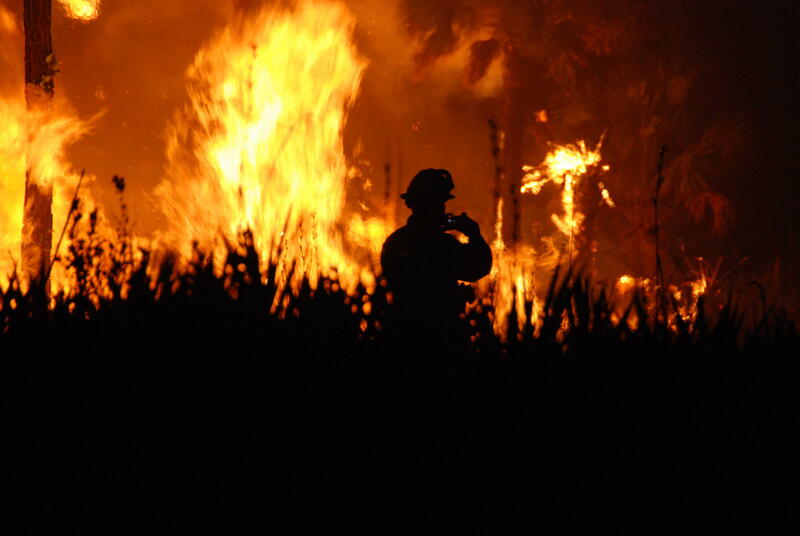 The blaze originated from behind the Sack-and-Save, and burned a total of 500 acres. But the fire department wants residents to start now to help prevent wildfires near their homes by making a plan. HFD Captain Scot Seguirant says despite the weekend's wet conditions, the vegetation in the area was completely dry. "Now is a good time to realize this is an ongoing issue," said Seguirant. "The brush will grow on its own. [And] many any of us can't fathom how quickly it comes back. It looks like it's totally destroyed, and the next thing you know, a few months go by, and it's ripe and ready again." Start cutbacks of vegetation on the property. "We would recommend 30 feet for those folks who have that amount of room. If not, try to work with the landowner that's next to your property they can come in and reduce that vegetation that's there." Maintaining things around your home that can lead to fueling the fire. "If you have loose leaves that naturally tend to gather in certain areas around your house, those are the same areas the embers will usually end up. Those are little spot fires, that can possibly lead to bigger fires." Make sure there's nothing combustible on balconies or decks. Consider different types of fencing and walls. "If you can have a CMU (concrete masonry units/concret blocks) or stone type of wall, those won't burn compared to different types of fences that have wood." Seguirant says that Leeward areas are generally dry, but it is unusual the blaze happened this time of the year. More wildfire prevention tips can be found on the Hawaiʻi Wildfire Management Organization's website.